If you plan on taking lessons, these are generally available either as part of a class, or privately. Prices vary dramatically, but expect to pay around 20 zl an hour as part of a group, and about 50 zl per hour for individual tuition. There are plenty of options to choose from in Gdansk, and in today's climate there is an ever-growing impetus for Poles to learn English - in the olden days students were obliged to learn Russian (now one of the least popular options for Poles, needless to say) whilst the language of the capitalist crew was firmly off the curriculum. Look out for good deals from the schools, particularly as the summer draws closer and competition to fill remaining vacancies increases. Akces-Benefit is an established school with branches across Poland. They specialize in teaching English by the popular Callan Method. Bell is an international school that teaches English at all levels, from youngsters to businessmen. They can also arrange courses in England if you want to plunge yourself into the thick of things. English Unlimited won first prize for the Tri-City in Newsweek's ranking in 2004. They also offer courses in German. The Centre for Polish Studies is a marvellous place to begin or further your adventure into to the Polish language. It's located in an elegant pre-war villa and there are a host of different courses to choose from. Find out more on their helpful website. This private language school founded in 1990 is a good bet id you want to get to grips with the Polish language. They offer intimate courses for all levels, as well as specific courses for students wishing to study at a Polish University. Inexpensive courses for beginners and advanced speakers of English. Small groups of between 4 and 6 people. Stanley offers courses for small groups in French, German, English and Spanish, whilst for companies they can organize courses in the aforementioned languages + Dutch, Swedish and Russian. The school can also help in providing interpreters, as well as straightforward translations of texts. British School is one of the three biggest in the country with outlets across Poland. It was founded in 1996, and they now offer courses in German, Russian, French, Spanish and Italian, as well as the language of Shakespeare. 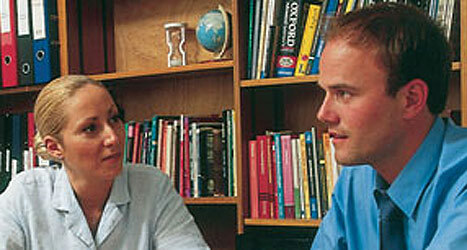 Siesta offers one to one teaching as well as course for small groups. They specialize in English, German and Russian, but also offer lessons in Swedish, Spanish, French and Italian. l am from Peru. l would like to learn the Russian language as soon as possible. My school is SITRAX école in Gdańsk!!! La langue polonaise est magnifique!!!! The list seems a little sparse - there seem to be many schools in Gdansk which are missing from this site - ProfiLingua, ojp.edu.pl, Speak Up, and more. I tried to contact a few schools about taking Polish classes and no school responded to my email. I just wanted to double check that the company was legitimate and receive further information. Can anyone recommend a school they they personally attended? Dziekuje Bardzo. The webpage about opportunties for learning the Polish language while in Poland was very good and helpful. I found the information useful and up to date. Please keep up the good work with your website. It has helped me a number of times on my trips to Gdansk. I would recommend the site to others. Especially for those who have English as a second or third language. (English is a confusing language indeed, Mr. T. The American version is a bothersome task for many more than me.) Tusind Tack. M.F. Come on guys, you can do this. Frank, we think the answer to your question is obvious. You shouldn't even need our help to find Polish language classes. Just go to Gdansk and read the plakats all over town. Not to mention the two schools in Sopot mentioned above--oh look, there's even web addresses for them! Robert, we don't offer Polish language courses, the language schools above do. Contact them to find the prices, which, like anything, will vary. Good luck boys. Criminy. 1 out of a possible 5. Need additional information to answer this question: Is there someone (or company) in Gdansk able to teach the Polish language as a second language to an English speaker? Would you please give me the cost for a few weeks of your polish language courses plus room and board.